The Thundering Watcher Mouse is a breed of mouse found in Moussu Picchu. Awaits patiently high above the cloudline for the weather conditions to converge into the perfect thunderstorm. Once the rain and the wind become a powerful maelstrom of thunder and lightning, he alerts the other Storm Dragon mice to take to the skies, bringing calm and order back to Moussu Picchu. The Thundering Watcher Mouse has been found to be especially attracted to Dragonvine Cheese cheese, to the point that any other kind of cheese will simply not suffice. The Dragoon Mouse has been found to be especially attracted to Dragonvine Cheese cheese, to the point that any other kind of cheese will simply not suffice. 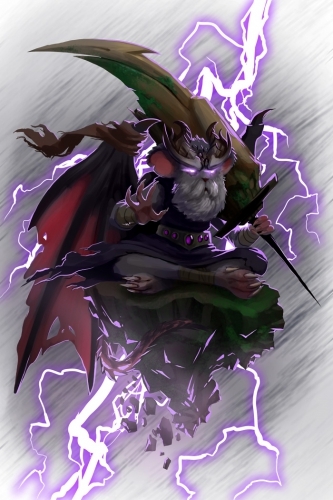 Only Draconic type traps are effective against the Thundering Watcher Mouse, all other power types are ineffective. The Thundering Watcher Mouse is only available when both wind and rain intensities are at least between 35%-99% in Moussu Picchu. 6 September 2017: The Thundering Watcher Mouse was introduced as part of the Moussu Picchu release. This page was last edited on 17 May 2018, at 16:25.